The 370-watt X-Series solar panel offers 60 percent more power than a conventional solar panel from the same amount of roof space over 25 years. It only takes 15 SunPower panels to produce as much energy as 22 conventional panels, which means homeowners require fewer panels to generate an equal amount of electricity. Made with third-generation SunPower® Maxeon® solar cells that are built on a solid metal foundation for high reliability and performance, SunPower panels are virtually impervious to the corrosion and cracking that typically degrade conventional panels allowing the company to offer an industry-leading 25-year Combined Power and Product Warranty. In addition, this year SunPower is expanding its suite of residential solar solutions for homeowners in EMEA and parts of APAC with the P-19 Series (P-19) solar panel offering 19 percent efficiency, which is currently available to commercial customers in select APAC markets. Engineered with the same innovative shingled cell design as the 17-percent efficient P-Series solar panel used in commercial applications, P-19 uses monocrystaline PERC solar cells to generate up to 32 percent more energy in the same space over 25 years when compared to conventional panels. The P-19 solar panel is a lower cost option compared to SunPower’s E-Series and X-Series panels, yet still delivers high quality and reliability to customers, and is also backed by SunPower’s 25-year Combined Power and Product Warranty. Visit booth A2.171 at Intersolar Europe in Germany from June 20 to 22 to speak with a SunPower expert or view the solar technology in person. To find out if the new 370-watt X-Series and P-19 solar panels are available in your area, contact your nearest SunPower installer or visit www.sunpower.com. This press release contains “forward-looking statements” within the meaning of the Private Securities Litigation Reform Act of 1995, including, but not limited to, statements regarding projected energy output, cost savings, and product performance availability and efficiency. These forward-looking statements are based on our current assumptions, expectations, and beliefs and involve substantial risks and uncertainties that may cause results, performance, or achievement to materially differ from those expressed or implied by these forward-looking statements. Factors that could cause or contribute to such differences include, but are not limited to: regulatory changes and the availability of economic incentives promoting use of solar energy, competition and market conditions in the solar and general energy industry, and fluctuations or declines in the performance of our solar panels and other products and solutions. A detailed discussion of these factors and other risks that affect our business is included in filings we make with the Securities and Exchange Commission (SEC) from time to time, including our most recent reports on Forms 10-K and 10-Q, particularly under the heading “Risk Factors.” A copy of this filing is available online from the SEC or on the SEC Filings section of our Investor Relations website at investors.sunpowercorp.com. All forward-looking statements in this press release are based on information currently available to us, and we assume no obligation to update these forward-looking statements in light of new information or future events. SunPower, the California company buying the Hillsboro plant, to make the deal pay. SunPower chief executive Tom Werner made his first visit to Oregon this week since agreeing to buy the SolarWorld factory in April. He said the plant must upgrade and expand production to stand out. “We need to accelerate the pace of innovation so we can increase the competitiveness of this facility in a rapidly changing market,” Werner said. The deal won’t close until midsummer, but once it does Werner said SunPower will move rapidly. He said the company will spend up to $15 million this year installing new equipment, and it plans to start making a higher class of more efficient solar panels in Hillsboro by the end of 2018. After a series of layoffs and setbacks at SolarWorld’s German parent company, the Hillsboro facility is operating at 50 percent of its capacity. Werner said it needs more from the plant, in terms of volume, efficiency and technology, to compete. SolarWorld’s 480,000-square-foot Hillsboro factory opened in 2008 after the plant’s German parent spent $440 million equipping it – boosted by $100 million in Oregon tax credits and property tax breaks. The facility never thrived, though, undercut by a flood of cheap solar panels from China. SolarWorld’s German parent company filed for insolvency last year, and SolarWorld laid off 360 Hillsboro employees, roughly half its work force. In April, SunPower stepped in and paid an undisclosed sum to rescue the Hillsboro factory. SunPower, which makes its own panels in Malaysia and the Philippines, was looking for a way around new tariffs the Trump administration had slapped on imported solar products. The industry expected those tariffs would trigger a rise in solar panel prices and create an incentive to move product back to the U.S. Last week, though, China ordered its utilities to stop construction of new solar farms and slashed government subsidies to the industry. That could leave Chinese manufacturers with tremendous oversupply, prompting them to slash their own prices. Falling prices, in turn, could offset the impact of the American tariffs and renew price pressure on domestic manufacturing and on SunPower’s decision to buy the Hillsboro factory. SunPower will ultimately have to spend far more than the $15 million budgeted to make competitive products, Mints said, but that’s an expensive proposition given the industry’s pricing structure. “The competitive pressures are brutal,” she said. SunPower is seeking to ease that pressure by seeking a tariff exemption for its products made in the Philippines and Malaysia, outside the subsidized Chinese market the Trump administration is targeting. Werner said the tariffs will cost his company $1.5 million to $2 million a week, money he said could otherwise be spent upgrading capacity in Hillsboro. But Mints said the Trump administration, focused on reviving America’s foundering coal industry, has no interest in cutting a solar manufacturer a break. “The odds of getting an exemption are less than zero,” she said. The situation is fluid, Werner said, and SunPower is weighing tradeoffs around pricing, tariffs and technology as it plans its future in Hillsboro. He said his company has to be prepared to redo its plans every six months. But they did get hints, in addition to more information about how the San Jose-based company thinks the Hillsboro plant can help its bottom line. “For various reasons, I cannot give the specifics of the purchase price, but we do not consider the cash consideration material to our financials,” Chairman and CEO Tom Werner said Tuesday. Later in the call, Executive Vice President and CFO Chuck Boynton reiterated that, but did talk about the upside potential of the deal. SunPower executives said again that they were motivated to make the deal by the Trump administration’s solar tariffs — sought by SolarWorld after its parent company SolarWorld AG went bankrupt last year. SunPower has said that it expects the deal to close after regulatory review by the end of June. SunPower’s American expansion more than it seems? That is the official line. But make no mistake, the acquisition is foremost about politics, financial gains come second. One only has to consider the fact that – not so long ago – the Trump administration imposed tariffs on high-efficiency solar cells and panels made in Asia. This would affect SunPower; which up until now did not have manufacturing operations in the US. And the manufacturer has already applied for exclusion from the tariffs. In turn, should such an exclusion be granted to SunPower, it could equate to an approximately USD 100 million annual windfall for the company and would warrant any expenses made now. At a minimum; the deal could be see as trying to appease the administration. SunPower plans to invest in factory improvements and increased working capital, while retrofitting a portion of the facility to produce P-Series solar panels, in addition to continuing to produce and ship SolarWorld Americas’ legacy products. The agreement is still subject to necessary U.S. and German regulatory approvals and other closing conditions. http://www.mselectriclv.net/wp-content/uploads/2018/01/MS-logo-stacked-150x50-e1515450346732.png 0 0 M+S Electric http://www.mselectriclv.net/wp-content/uploads/2018/01/MS-logo-stacked-150x50-e1515450346732.png M+S Electric2018-04-24 15:51:192018-04-24 15:51:19SunPower's American expansion more than it seems? How SunPowers purchase of SolarWorld is more that a tarrif dodging. For SunPower, the real payoff from this deal won’t derive from gaining SolarWorld’s manufacturing plant — the key benefit will come if it wins an exclusion from tariffs for its high-efficiency solar cells and panels, which are made in Asia. SunPower is the only global manufacturer that produces interdigitated back contact (IBC) solar cells at scale, and no U.S. manufacturers use the technology today. Based on the uniqueness of its offerings, and the lack of a domestic competitor, the company has argued it ought to be excluded from Trump’s tariffs — which were, as followers of this saga will recall, imposed as based on a trade case brought by Suniva and … SolarWorld. If SolarWorld’s new parent gets an exclusion, it could equate to an approximately $100 million annual windfall for the company — entirely justifying the (undisclosed) price it’s paying for the business. SunPower’s IBC exclusion application had already led to discussions with the Trump administration. While we don’t know exactly what was said in those meetings, we do know the company thinks buying SolarWorld Americas makes getting the exclusion more likely. And just prior to the announcement of the merger deal, SolarWorld told the government it backed SunPower’s request. Certainly it would be hard to argue that the acquisition is being made based on its direct financial value, or to boost SunPower’s operations. SolarWorld’s products are sold at a premium compared to Chinese-made commodity panels, and they still aren’t profitable, which is part of why the business was for sale. SolarWorld Americas’ parent company, SolarWorld Industries Gmbh, based in Germany, filed for insolvency last year, and is trying to shed assets. It has been looking for a buyer for its U.S. unit for about a year. SunPower management has said Trump’s tariffs will cost the company $1.5 million to $2 million per week. If we look at its financial guidance for 2018, management expected to be adjusted EBITDA “positive” before an exclusion, so we can now estimate that an exclusion would leave the company with about $50 million in total adjusted EBITDA this year (assuming 6 months of exclusion) and another $100 million of incremental EBITDA next year. SunPower’s management has also said they expect the company to turn the corner to profitability late this year, so a tariff exclusion could push that transition forward. In other words, the IBC exclusion could be worth playing politics for. Is this part of a bigger move back to the U.S.? Improving its chances of getting a tariff exclusion for its high-efficiency IBC product may be the main driver of SunPower’s SolarWorld Americas acquisition, but there could be more to it. SunPower’s P-Series solar panel, which is built using commodity cells in a way that makes it slightly more efficient than traditionally manufactured panels, could factor into a U.S. manufacturing strategy as well. The company plans to convert 25% to 50% of SolarWorld’s 550 MW in panel manufacturing capacity to P-Series, but that could be just a start. Modern solar manufacturing facilities have the capacity to churn out 1,000 MW of product or more annually, so to make it competitive, SunPower will need to expand the Oregon plant, or build a new one. This deal may have laid the groundwork for the company to work with the Trump administration on a subsidy package that would make that U.S. manufacturing expansion more financially feasible. We don’t know what was said behind closed doors, but it has become clear that SunPower’s (NASDAQ:SPWR) announced acquisition of SolarWorld Americas earlier this week was driven by more than just economics. CEO Tom Werner told me the deal “aligns” SunPower with the Trump administration’s desire to have more U.S. manufacturing, and the company’s management is clearly trying to appease the administration. https://www.mselectriclv.net/wp-content/uploads/2018/04/spwr-commercial-rooftop_department-of-energy_large.jpeg 387 580 M+S Electric http://www.mselectriclv.net/wp-content/uploads/2018/01/MS-logo-stacked-150x50-e1515450346732.png M+S Electric2018-04-24 15:20:312018-04-24 15:20:31How SunPowers purchase of SolarWorld is more that a tarrif dodging. SunPower Corp. (NASDAQ: SPWR) has agreed to acquire competitor SolarWorld Americas of Hillsboro, Oregon, as SunPower looks to capitalize on what it called “strong U.S. market demand” for solar panels and to reduce the impact of Trump administration tariffs on imported panels. SunPower did not say what it will pay for SolarWorld Americas. However, it did say it plans to “inject fresh capital” into the SolarWorld Americas facility in Oregon, though it did not specify the size of the planned investment. Reuters noted that while SunPower is based in San Jose, California, most of its manufacturing is in Mexico and the Philippines. Reuters said the Trump administration tariffs were the result in part of a solar trade case brought by U.S. manufacturers, including SolarWorld, which claimed they could not compete with cheap imports. Shares of SunPower were down around 5% in premarket trading on Monday, at US$9.20 a share. “P-Series technology was invented and perfected in Silicon Valley, and will now be built in SolarWorld Americas’ factory, helping to reshape solar manufacturing in America,” Werner said. SunPower said the agreement is subject to U.S. and German regulatory approvals and other closing conditions. At closing, which is expected in the next several months, SunPower said it will become the largest U.S. solar panel manufacturer. SunPower’s stock surged the most in more than three years on the news. With promised investment in the SolarWorld factory, the deal marks at least the second announced expansion of U.S. panel manufacturing since January, when President Trump imposed the tariffs of as much as 30%. The deal follows China’s JinkoSolar Holding Co., the world’s biggest publicly traded solar company, which is planning a factory in Florida. Last month, JinkoSolar announced a four-year supply agreement with NextEra Energy Inc., which cited the advantages of buying cost-effective, U.S.-made products. Shares of San Jose-based SunPower rose as much as 17%, their biggest intraday gain since February 2015. They finished the day up 11.9% at $9.34. The Oregon plant has the capacity to turn out as much as 430 megawatts of cells and 550 megawatts of panels a year. 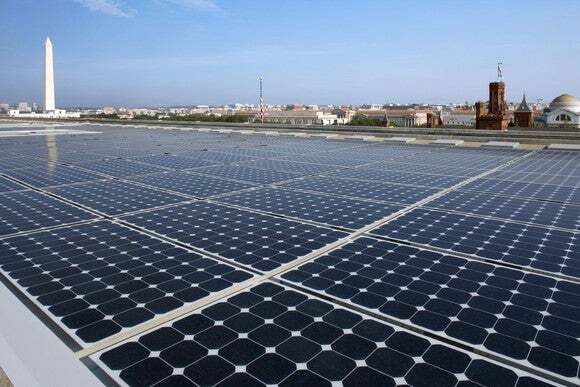 SunPower plans to revamp the facility to produce its high-efficiency P-Series modules. Sunpower Corporation (NASDAQ:SPWR) up 1.84% to close at the price of $8.3. The stock has a market capitalization of $1.16 Billion however its outstanding shares are 139.41 Million. The company’s beta value stood at 2.56. Sunpower Corporation (NASDAQ:SPWR) has an ABR of 2.7 which is the combined stock view of 10 analysts poll results. As per Zacks simplified descending rating scale the ABR rank is displayed in the range of 1 to 5 where 1 represents Strong Buy and 5 a Strong Sell. As the name implies that ABR will show you the Average of Brokerage Recommendations on a given stock. It helps you quickly get a picture of where Wall Street stands on a stock without reading huge research reports. The smaller number of ABR is the more favorable. The modest value of the stock is known as the current ABR of the stock. However out of 10 analysts 1 suggest Sunpower Corporation (NASDAQ:SPWR) a Strong Buy, 2 suggested Buy, 8 Hold and 2 Sell, while 0 analysts recommend the stock a Strong Sell. Analysts are expecting average earnings estimates of $-0.3 for the current quarter based on the opinion of 15 analysts, relating to high earnings per share estimates of $0.14 and low estimates of $-0.6, however Sunpower Corporation (NASDAQ:SPWR) reported $-0.36 earnings per share for the same quarter last year. For the current quarter Sunpower Corporation (NASDAQ:SPWR) has average revenue estimates of $359.13 Million, a total number of 11 analysts provided estimations over revenues. However the low revenue estimates for the company are $311 Million versus high revenue estimates of $484.5 Million. A year ago the company’s sales were $429490 while its sales growth yearly estimates for the current quarter are -16.4%. Taking a broader look at the analyst consensus, brokerage firms have a price target of $7.73 on Sunpower Corporation (NASDAQ:SPWR). Brokerage firms on the street have price targets on the name ranging from $5 to $12 based on 12 opinions. Sunpower Corporation (NASDAQ:SPWR) as of current trade, has shown weekly performance of 9.93% which was maintained at 15.92% in one month period. Year to date performance remained at -1.54%. During the past three months the stock gain -4.93%, however six months performance of the stock remained at 16.9%. Sunpower Corporation (NASDAQ:SPWR)’s price sits 10.6% above from its SMA 50 of $7.52 and -0.36% far from the SMA 200 which is at $7.82. Currently Sunpower Corporation (NASDAQ:SPWR)’s shares owned by insiders are 0.8%, whereas shares owned by institutional owners are 29.1%. However the six-month change in the insider ownership was recorded -2.07%, as well as three-month change in the institutional ownership was recorded -0.11%. The stock is trading -29.06% away from its 52 week high of $11.70 and 35.84% far from the stock’s low point over the past 52 weeks, which was $6.11. The price-earnings ratio (P/E ratio) is the ratio for valuing a company that measures its current share price relative to its per-share earnings. Sunpower Corporation (NASDAQ:SPWR)’s price to earnings ratio stood at 0. A high P/E suggests that investors are expecting higher earnings growth in the future compared to companies with a lower P/E. A low P/E can indicate either that a company may currently be undervalued or that the company is doing exceptionally well relative to its past trends. The PEG ratio is used to determine a stock’s value while taking the company’s earnings growth into account, and is considered to provide a more complete picture than the P/E. Sunpower Corporation (NASDAQ:SPWR) has a current PEG of 0. Sunpower Corporation (NASDAQ:SPWR)’s price to sales ratio for trailing twelve month stands at 0.62, whereas its price to book ratio for the most recent quarters is at 8.14. However the company’s price to cash per share for most recent quarter stands at 3.12. Its price to free cash flow for trailing twelve months is 2.66. “Access to reliable, resilient electricity to meet operational needs is a priority for the U.S. Air Force, and this solar project enables us to increase our own energy security at Vandenberg with competitively priced, dependable solar energy from SunPower,” said Ken Domako, Chief of Portfolio Optimization at Vandenberg Air Force Base. The base will purchase electricity under a 25-year power purchase agreement, providing Vandenberg with competitive, fixed electricity rates, and the Air Force will retain all of the associated environmental credits. Alabama-headquartered Regions Bank provided the capital required for the solar project, eliminating the need for capital expenditures by the Air Force. Cornerstone Financial Advisors, LLC served as financial advisor to Regions Bank on this transaction. The onsite system is the largest Air Force solar project in which the Air Force consumes all of the energy produced. The project features SunPower® Oasis® power plant technology which is a fully-integrated, modular solar power block system engineered for rapid deployment and land use optimization. The Vandenberg system is generating solar electricity from land that has gone unused for over decade and is a former Air Force housing site. The system is expected to provide 54,500 megawatt hours of energy annually – equivalent to offsetting carbon dioxide emissions from 8,600 cars for one year according to the U.S. Environmental Protection Agency. SunPower is a solar advisor to various federal government agencies, deploying solar power systems at military facilities nationwide including more than 28 megawatts at Nellis Air Force Base in Nevada; 10 megawatts of solar and 1 megawatt of energy storage at the U.S. Army’s Redstone Arsenal in Alabama; 13.78 megawatts at Naval Air Weapons Station China Lake; as well as 5.6 megawatts at the Air Force Academy in Colorado Springs. This press release contains “forward-looking statements” within the meaning of the Private Securities Litigation Reform Act of 1995, including, but not limited to, statements regarding project plans and timelines, relative generating capacity, projected energy output, and expected cost savings. These forward-looking statements are based on our current assumptions, expectations, and beliefs and involve substantial risks and uncertainties that may cause results, performance, or achievement to materially differ from those expressed or implied by these forward-looking statements. Factors that could cause or contribute to such differences include, but are not limited to: regulatory changes and the availability of economic incentives promoting use of solar energy, challenges inherent in constructing and maintaining certain of our large projects, competition and market conditions in the solar and general energy industry, and fluctuations or declines in the performance of our solar panels and other products and solutions. A detailed discussion of these factors and other risks that affect our business is included in filings we make with the Securities and Exchange Commission (SEC) from time to time, including our most recent report on Form 10-K, particularly under the heading “Risk Factors.” Copies of these filings are available online from the SEC or on the SEC Filings section of our Investor Relations website at investors.sunpowercorp.com. All forward-looking statements in this press release are based on information currently available to us, and we assume no obligation to update these forward-looking statements in light of new information or future events. © 2018 SunPower Corporation. All Rights Reserved. SUNPOWER, the SUNPOWER logo and OASIS are registered trademarks of SunPower Corporation in the U.S. and other countries as well. (Bloomberg) — President Donald Trump wanted more U.S. solar-power manufacturing jobs when he cracked down on imports — now he’s getting them. SunPower Corp. will announce in about three weeks plans for a U.S. photovoltaic production plant to make some of the panels it now makes abroad, Chief Executive Officer Tom Werner said Friday in a phone interview. The U.S.-based company currently makes most of its power-generating panels in Asia and Mexico. The choice of location is between two sites in two western states, Werner said. Production would begin in less than 10 months, and the company will speed that up by selecting an unused, existing plant. But it’s too soon to disclose manufacturing capacity or employment at the new facility, he said. “This is a decision driven by the direction that this administration wants to go,” Werner said. Tariffs were a factor, and SunPower, based in San Jose, California, will continue a tariff exemption request for other equipment it imports, Werner said. So was capturing market share in the U.S. West, where panels are most in demand, he said. Photovoltaic Production in the United States would partially exempt SunPower from the 30% tariff’s that President Trump levied earlier this year against solar panel importers whose Photovoltaic Production is done in foreign markets. The news comes hours after China-based JinkoSolar Holding Co. said it will open a plant in Jacksonville, Florida, that will employ 200 people making 7 million solar panels over four years for NextEra Energy Inc., owner of the state’s largest utility. When he enacted the tariffs in January, Trump said the duties will encourage solar manufacturing in the U.S. “Our action today helps to create jobs in America, for Americans,” he said. Should SunPower build the photovoltaic production plant in the U.S. they can make the claim that thier panels are made in America, potentially removing the tariffs levied by the President earlier this year. http://www.mselectriclv.net/wp-content/uploads/2018/01/MS-logo-stacked-150x50-e1515450346732.png 0 0 M+S Electric http://www.mselectriclv.net/wp-content/uploads/2018/01/MS-logo-stacked-150x50-e1515450346732.png M+S Electric2018-04-03 09:00:092018-04-02 15:06:10SunPower Set to Create New Photovoltaic Production Facility in U.S.